I live in Berlin (most of the time) and in Malta. Food has been one of the greatest passions of my life since the day I was born (according to my mother) and it continues to be so (thanks to my bottomless appetite). My life changed the day I met my man, Jamie. His father’s American, his mother from Malta, and uniting the best from both continents in an irresistible mix, he brought the Mediterranean into my (very German) way of thinking, my cooking, and especially into my humor. 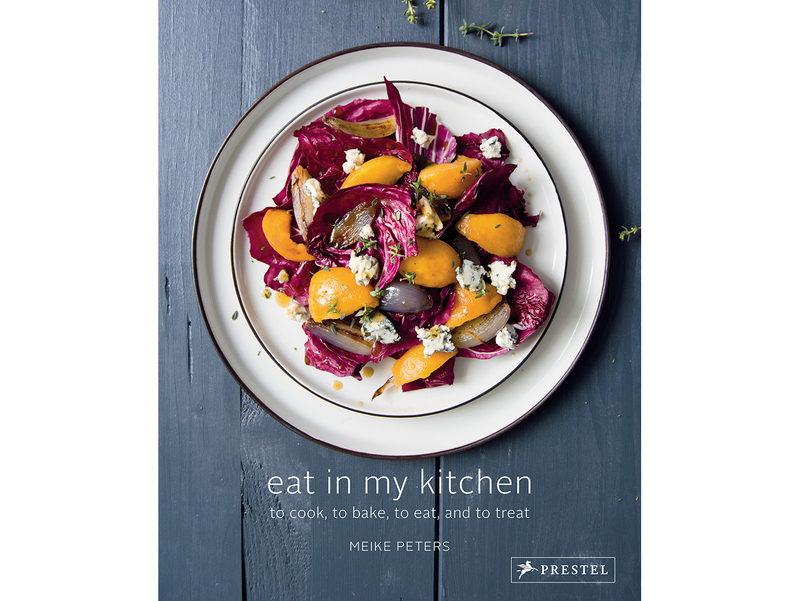 I decided to channel my passion for food into this blog in November 2013; into my first book, Eat In My Kitchen, in October 2016 (which won 2017 James Beard Cookbook of the Year); and into my second book, 365 – A Year of Everyday Cooking & Baking, coming out in October 2019. My food is in my hands. Whatever I buy, whatever I cook and eat—it’s all up to me. 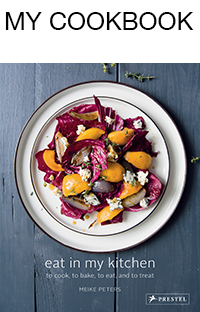 My mother and grandmothers introduced me to the marvelous everyday pleasures of the kitchen. I was a young child, but watching them create fantastic treats with such ease and satisfaction impressed me and sparked my lifelong love of food. Through them I understood that it is a sensory process that leads to an unforgettable meal. The idea for a recipe is only the start. Before the cutting, searing, and stirring even begins, smelling and choosing fresh fruits and vegetables at the market, or picking a nice piece of meat at the butcher or a warm loaf of bread at the bakery is what turns a simple dish into something greater. When I sit down at the table, on my own or with family and friends, I enjoy every single bite to the fullest. It is pure bliss created by my own two hands. If there isn’t much time, I keep it simple, with only a few ingredients tossed together in half an hour, but I won’t skip it. To cook, to bake, to eat, and to treat is my daily feast. My culinary education is rooted in hearty German comfort food, with strong influences from French and Italian cuisine. It all started with my mother who is my biggest inspiration in the kitchen. She’s a fabulous cook, a wonderful host, and she introduced my young taste buds to the pleasures of fine olive oil and the generous use of Mediterranean herbs and garlic, along with France’s elaborate classical dishes and Italy’s simple but scrumptious pastas. Although I grew up in western Germany, in North Rhine-Westphalia, most of the traditional German recipes I cook originated in the South of the country. I learned to love them through my Swabian stepfather who brought wonderful treats like Spätzle and Maultaschen to our table. Our lavish family gatherings aroused an unstoppable appetite for traditional homemade cakes, and led to my huge passion for baking, which I continue to indulge in, especially on cozy weekends. My kitchen journey continued when my man came into my life, bringing with him the culinary traditions of his Maltese mother and American father. Spending summers in Malta, on the warm edge of Europe, sixty misty miles from Sicily, easily changes the mind, humor, and cooking of a German girl. My Mediterranean family brought lots of love and laughter into my life and many new recipes and habits into my kitchen. Similar to Sicily, the cuisine of Malta has strong Arabic influences and features warming spices like cumin, coriander, and fennel, as well as the concentrated zest and juice of lemons, tangerines, and oranges, which add depth, flowery fruitiness, and tangy edge. For this reason, I use citrus in almost everything, especially when it comes from my Maltese mama’s garden. My partner’s American family bestowed upon me a new love for luscious sandwiches, chunky cookies, and Sunday morning muffins. The size of my burgers also grew dramatically, but besides this, I learned to be more free and experimental and less traditional in how I think about ingredient combinations for my recipes. This is my culinary map and I’m thankful for every single influence and experience. I combine and make use of everything I’ve learned—cooking, baking, and eating based on what I’ve seen, smelled, and tasted in the world. New ideas, trusted family classics, and culinary traditions melt into each other and turn into delicious treats to be savored at the long wooden table in our old flat on one of Berlin’s wide boulevards. The seed for my deep fascination with food was sown early—maybe it’s been there from the start. An old photograph from when I was a baby—I couldn’t even walk yet—shows me toothlessly licking the last pieces off a chicken bone with such persistence that it seems obvious where my passion would take me. Years later, in November 2013, I decided to write about my kitchen adventures, and share my experiences here on my blog, on eat in my kitchen. Not knowing what it would lead to, I simply enjoyed exchanging tips and recipes with readers all over the world. We are all connected through the universal language of food, and inspire each other with our different cultures and creations. I love to end my day in the kitchen; it relaxes me. Listening to music, enjoying a glass of wine with some nibbles—a bit of cheese, some olives or grapes—turns the cooking experience into a greater pleasure. The meals that follow are some of my most treasured memories, and are a big part of who I am. The food we choose to create and eat, the way we set up the room where it all happens, and the importance we give it in our lives says a lot about who we are. This is what I was curious about when I started the interview series Meet In Your Kitchen on the blog. Each guest shares a personal recipe and their views and stories about food, so it offers a real and honest insight into someone’s life through their kitchen. I feel thankful for all the great feedback I receive and I love to hear your questions and suggestions if you tried out some of my recipes. If you have any questions about eat in my kitchen please send me an email. If you don’t want to miss any of my posts feel free to subscribe here. If you want to share one of my pictures or recipes, whether online or in print, please get in touch for permission first. 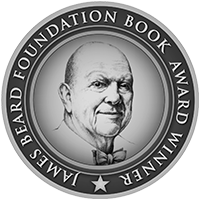 2017 JAMES BEARD GENERAL COOKBOOK OF THE YEAR. MY NEW BOOK WILL BE OUT IN OCTOBER 2019! wir haben dein Kochbuch seit letzten Herbst und lieben es! Meine Frau sucht die Rezepte raus und ich koche. Essen? Natürlich gemeinsam! Was uns besonders gut gefällt, ist, dass wir – aus unserer Sicht – keine ausgefallenen Zutaten kaufen gehen müssen, das sind Sachen, die wir eigentlich immer Zuhause haben. Die Rezepte sind leicht machbar und damit auch abends unter der Woche nach 10-12 Stunden Arbeit möglich und dann auch noch superlecker! Nur das Sandwich mit weißen Bohnen un der Bratwurst war sehr schwer zu essen – wir sahen beide recht lustig aus … – aber echt saulecker. Heute gibts Bratkartoffeln mit Fenchel. Vielen Dank für dieses herrliche und außergewöhnliche Kochbuch – es ist unser Lieblingskochbuch geworden. Liebe Grüße und weiterhin frohes Kochen! I’m from Mexico and I’m a big fan of your blog and your recipes!! I want to know how I can get your book here in Mexico? Your Christmas Cookies look delicious! The Vanilla Kipferl will be first on my list. Thank you! Merry Christmas and Happy Baking!! Happy to have discovered your beautiful blog. I’ve pinned several of your recipes…they all look so wonderful. Thank you, Karen! Merry Christmas!! Where have you been all my life? I am excited to explore your recipes and prepare delicious new meals! Can’t wait to thrill my family and friends! Thank you. have just found your rhubarb chutney recipe & feel I will very much enjoy your foodie thoughts. bin gerade via Design Sponge auf deiner Seite gelandet und auch ich habe schon jetzt viele Dinge im Kopf, die ich dringend bald ausprobieren muss. Das freut mich sehr, viel Spass beim Kochen – und Backen!! Hi Meike, I have such a laundry list of your recipes to make. My mother is from Berlin (lives in Heidelberg now) and did not teach me how to make so many of the favorite “can’t live without” german recipes that I can make now thanks to your website. I can appreciate your affinity for all things Maltese also. I used to live in Sicily, and from my kitchen windows I could see both Mt. Etna and the port of Catania. I had a perfect view of the ferry going to and from Malta. That would be a horrible tease for you! I just discovered you through Food 52. I´ve made your recipes for 2 dinners in a row and they were both winners. Spaghetti with sage, orange and mascarpone was the first and then labskaus. My husband and I were quite sceptical about some of the unusual flavors but were blown away by both recipes. We had a very pciky dinner guest for the labskaus and he had two bowls! I traveled to Germany for the first time from the US this summer for Bayern vs Dortmund match and instantly fell in love with the food in Munich. I simply cannot wait to make the Deyerling’s potato salad. The “German” potato salad in the US is nothing like the creamy potatoes I had in Munich. Are they prepared differently outside of Bavaria? Very strange to see Spargel in the Viktualienmarkt. I had never seen asparagus so large and had it as my last meal in Frankfurt with Hollandaise ….brilliant! Hopefully it will not be a once in a lifetime trip but with your blog I can make the amazing dishes I had during my visit. What a trip for football, that’s passionate! I understand that you fell in love with the hearty food in the south, I feel the same. My step father is from the Stuttgart region in Baden Württemberg next to Bavaria and my mother cooks many of his favourite dishes, therefore the food from this area always had a big influence on my own cooking. You can also grind the cooked potatoes and mix them with the dressing, I do sometimes. I’m glad you enjoy my blog and it reminds you of a good time! It’s lovely! It s also interesting to read the interviews with people who love to cook. 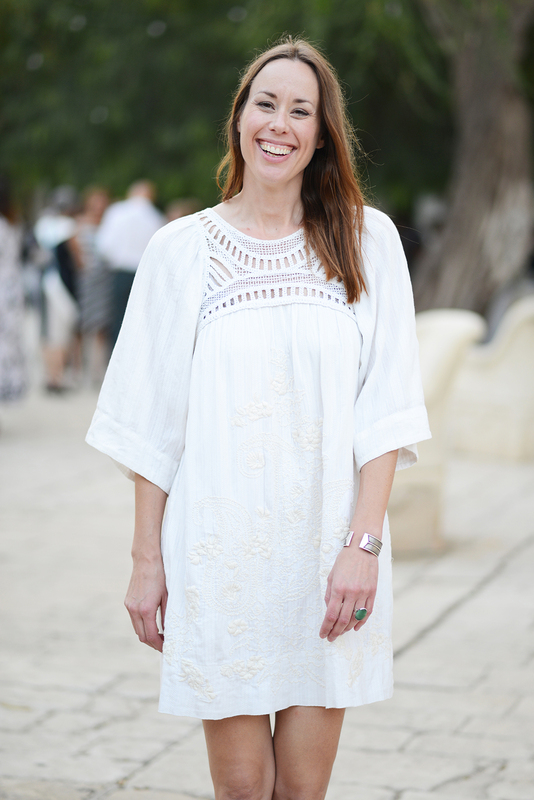 Thank you Sévérine, I’m happy you enjoy the blog and my recipes! There are many more to come! Thank you for sharing your recipes with us. I was in Germany this fall and miss so much of the food I had there. Hi Janet! I look forward to sharing many more of my recipes with you, both old and new! Where were you in Germany? Did you have a favourite food when you were here?